It's here! The exclusive DrumCorps shirt. Click Here to check out the shirt and place your order. 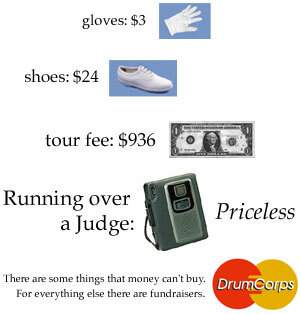 This Drum Corps site is owned by Flint Enterprises. Want to join the ring? Get the info. This Division II/III Drum Corps Ring site owned by Flint Enterprises.